The pressures of the global economy have led to a substantial decline in capital funding available for school and university building. As government funding for education facilities in Australia continues to fall, schools and universities are increasingly under pressure to do more with less. One of the ways to combat these challenges is adaptive reuse and refurbishment – the act of making the best use out of ageing and current buildings to construct something new, without having to start from scratch. Wilson Architects Managing Director Hamilton Wilson believes great beauty and inspiration can lie in ageing buildings, whether heritage, or more recent work from the 70s and 80s, and says it’s important to heighten an ageing building’s positive attributes, while at the same time overlaying contemporaneity. “When you’re working with a building that was loved when it was built, it’s a little presumptuous to say that if it doesn’t fit in with today’s styling, it needs to be eradicated,” he said. 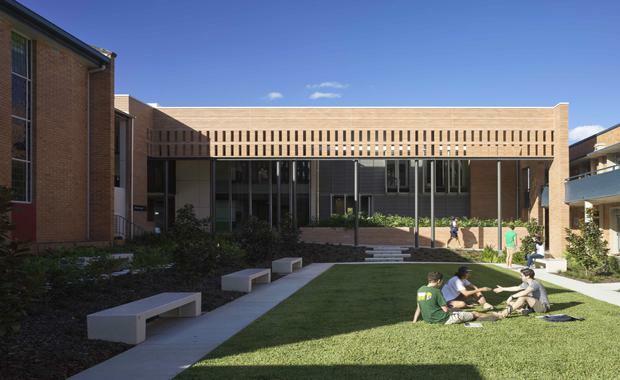 Wilson Architects backs up this belief in adaptive reuse with one of their recently completed projects at the University of Queensland. The new King’s College Wensley Wing is attached to an existing building completed in 1957 on the St Lucia campus. King’s College Wensley Wing, University of Queensland. Wensley Wing provides additional accommodation for residents, as well as creating small communities of students – each with a living room, lounge and group study space. 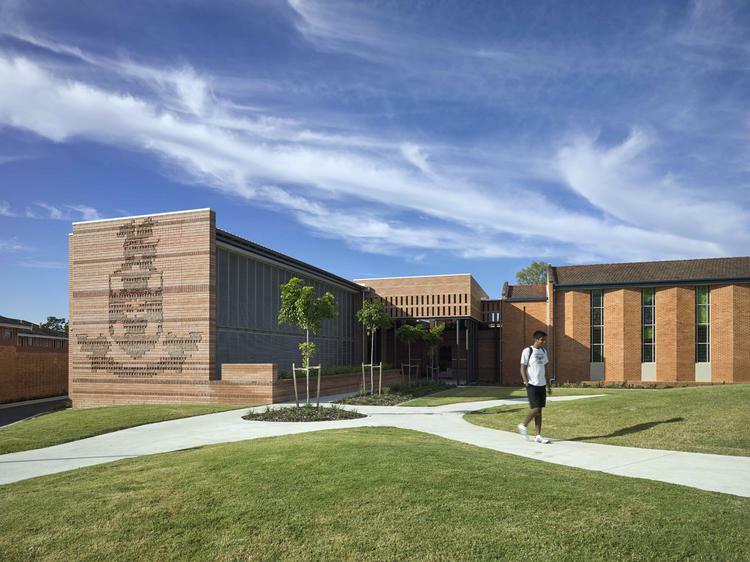 Brick was originally used in construction and so brickwork was also used in the new design, remaining respectful to the existing materials of the College and creating a relationship with the existing building, as well as giving it a contemporary architectural style and identity. “A redundant building transformed into a lively one that connects to its community is a wonderful way to reinvigorate a campus or school,” Hamilton says. "With education and pedagogy continuously changing, so too buildings and spaces need to change and adapt to meet the needs of how children and young adults learn and live. Increasingly, architecture needs to support peer-to- peer collaborative learning, personalised learning and evolving technology requirements, while providing spaces for both study and refuge. With rising development pressures in our cities, it’s imperative to consider sustainability and continue to reuse existing building stock. The demolition and construction process is not only costly, but wasteful. Meanwhile, recycling a valued historic place couples energy savings with countless social and cultural advantages.